Want to take salsa lessons in Bogota, Cali, Medellin, or elsewhere in Colombia – South America’s vibrant salsa capital? The first thing to decide is what type of salsa you want to learn. “Salsa” is, in fact, a very broad term. In 1960s New York, musicians playing a wide range of high-energy latin rhythms would cry out “salsaaa!” to the crowd to signal: bring the spice; crank up the heat on the dance floor. The name stuck, but remains quite general, encompassing 4 major global styles: On-1, Cuban, Colombian and On-2. You can find all 4 major styles of salsa in Bogota, Cali or Medellin. So, how to decide where to start? You may want to consider where in the world you plan to dance, what type of music makes you want to get up and move, and how you like to dance — rapid turns, or fun footwork; fast and frenzied, or smooth and sensual. We’ll go over the basics of each style to help you decide which best fits your groove. Do you love the look of fast, complex turns, and an energetic, elegant style of dancing? Does this look cool to you? If so, check out salsa On-1 (commonly called Salsa en Linea in Colombia, or LA style in the U.S.). 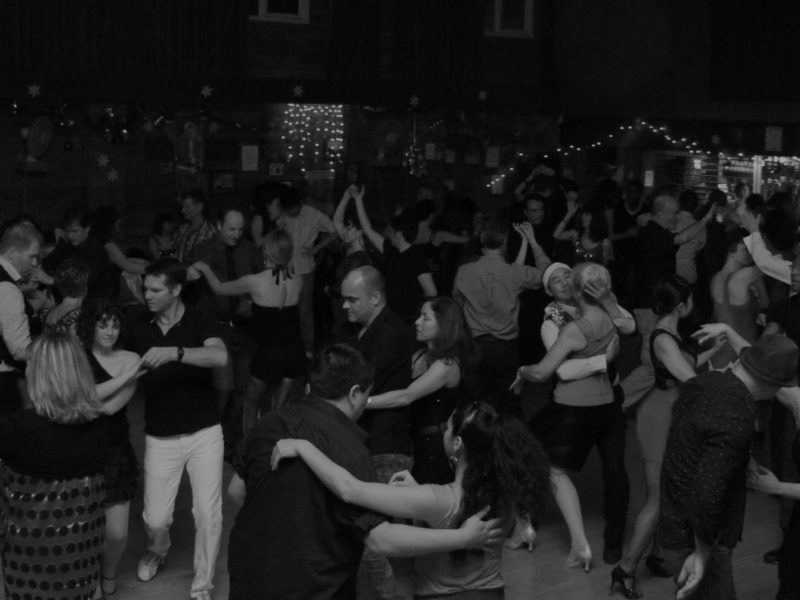 One of the most popular styles of salsa in the U.S. and Europe, On-1 is a great place to start because of its accessible timing (with the leader stepping forward and the follower stepping back on the count of 1, hence “On-1”). As you get better, you’ll learn intricate, showy spins, graceful arm styling, and jazzy steps called “shines” (like those you’ll see by our instructors, Sergio and Jessica in their winning dance at the Cali world championship!). Even if this Style is more popular in the U.S., Europe, and Asia you can still learn it if you take Salsa lessons in Bogota or Medellín, Cali, etc. Colombia is a very good place for all types of salsa. If you’re all about shaking your hips and shoulders, and you love the funky sound of Cuban Timba — Cuban salsa is for you. Saleros worldwide love Cuban salsa, also known as Casino, for its playful, provocative vibe, vigorous hip movement, and Afro-cuban styling. Compared to On-1, Cuban style follows a more circular pattern of motion, as dancers weave intricate, pretzel-like figures around each other. Cuban-style social dancing also differs from the other styles in that it isn’t just a couples dance. From the streets of Havana to clubs in Berlin, Cuban salsa is commonly danced in a synchronized ring of couples, called a Rueda. Many dancers start out with this style because its timing (on the count of 1) is easy to grasp — and few things are more fun than a sweaty, boisterous Rueda. If your primary goal is getting down in Colombian clubs, and this rapid, flashy footwork looks wildly fun to you, then Colombian salsa is your groove. Colombian salsa (often called Salsa Caleña or Cali-style salsa), stands out for its explosive energy and speed, with more emphasis on kicks and footwork, and fewer complex turns. When salsa first arrived in Cali in the late 60s, DJs would often play records at up to double their intended speed — and the exhilarating pace of Cali-style salsa hasn’t let up since. Also danced on the count of 1, Colombian salsa is more approachable for beginners than you might think — you won’t need to know the intricate, speedy footwork in order to get out and shake it on the dance floor! Watch our very own Carlos and Francy dance it up at our yearly Mundial de Cali Festival. Are you drawn to a smoother, more sensuous style of dancing? Do you like the intricate, old-school rhythms of Mambo music? If so, check out On-2 Salsa. Also called New-York style, On-2 shares much in common with On-1, but has different — and more complex — timing. Followers step forward on the count of 2, and leaders on the count of 6, giving the dance a slower cadence — with time for some extra sabor / flavor. Experienced dancers love On-2 for its rhythmic complexity. However, the On-1 count is more dominant and easier to hear as a beginner, so most dancers who take salsa lessons in Bogota, start with one of the first 3 types of salsa before learning On-2. Here’s our very own Waldy show what smooth on-2 dancing is all about. Now…ready to dance? Our community of instructors offers salsa lessons in Bogota, Cali and Medellin in all 4 of the above salsa styles. Nothing makes us happier than getting new dancers out on the floor! Read more about our teachers and the styles they offer. And remember, there is no wrong place to start. No matter what style you begin with, you’ll build a foundation of salsa vocabulary that transfers to the others — enabling you to find common ground with salseros on any dancefloor, anywhere in the world. PS Theres also a specific type of Salsa in Puerto Rico and Miami — more on that in a followup post!